The beautiful leafy pattern shown in this piece is perfect as a light blanket for any baby. 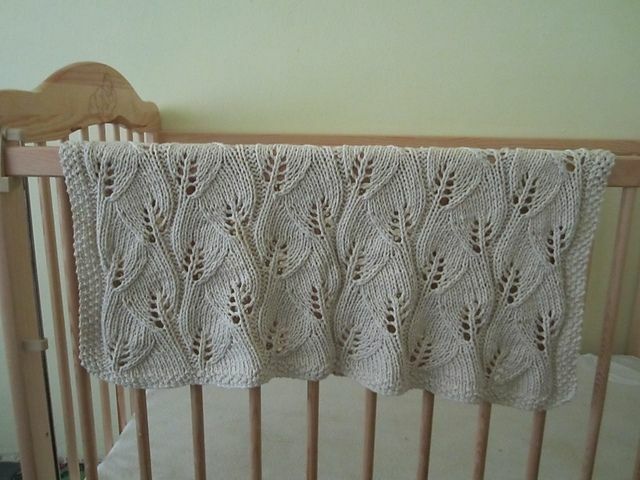 The detail in this blanket is very intricate, but yet is soft enough to be used every day. Larger or smaller sizes are available, so if desired please contact me for size and price details.